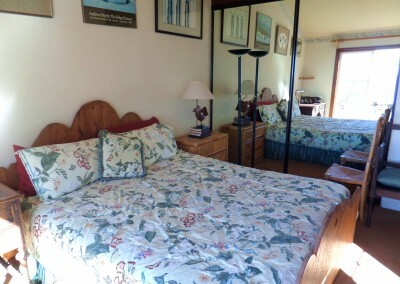 Master King bed, Bedroom 2 has a king bed, Bedroom 3 has two single sleigh beds, and two roll-away single beds provided. 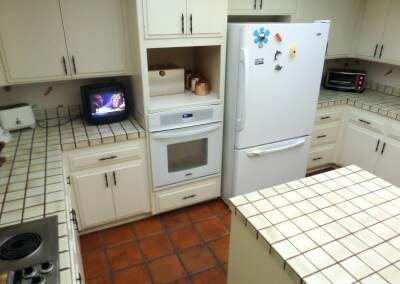 Large Dining Fully equipped kitchen, (microwave, coffee maker, full size refrigerator, microwave, dining and cooking utensils), TV, High Speed internet wifi access, all linens and towels, basic soaps- liquid, Washer-Dryer, Onsite parking for 2 Cars in tandem garage, beach chairs, patio table and chairs, BBQ (grill) and much more! 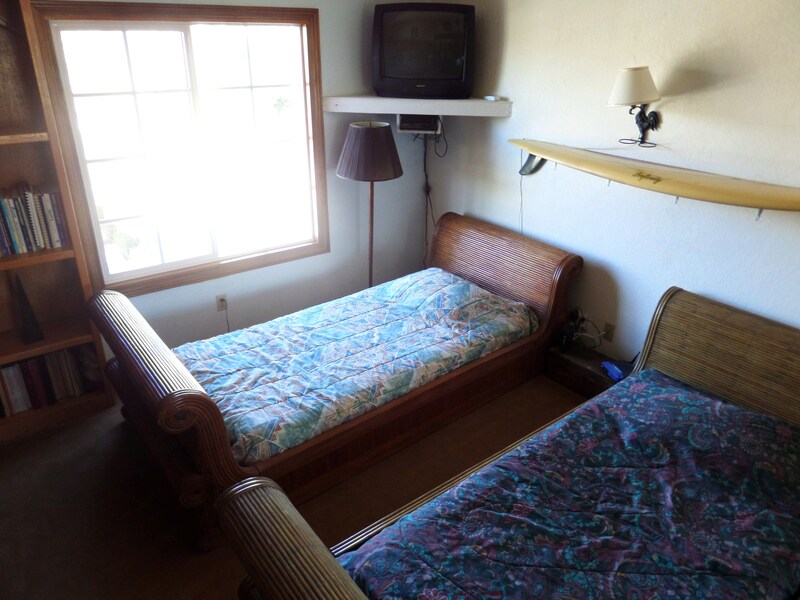 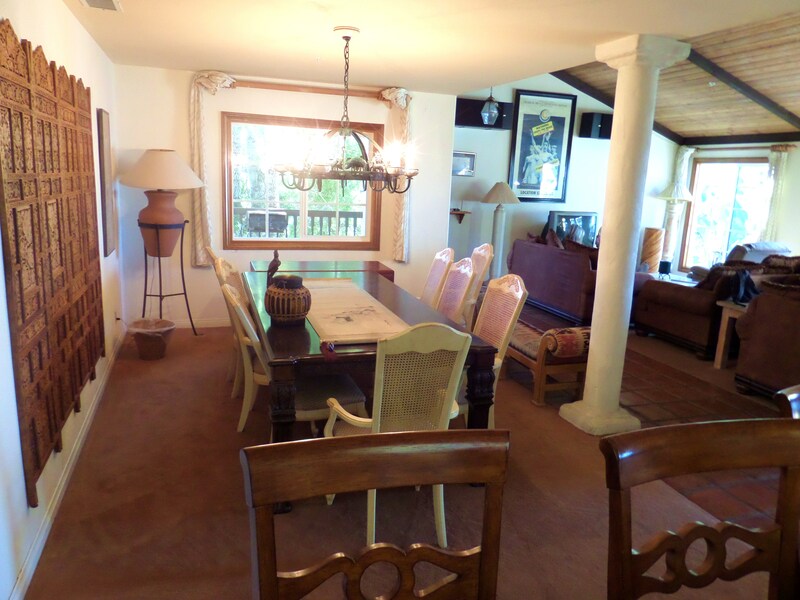 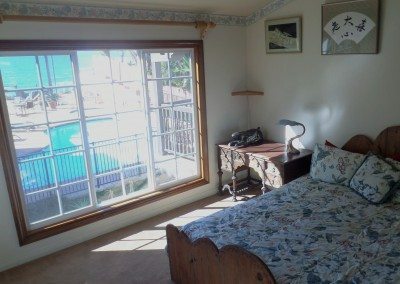 Surfing, Swimming, Golf, Boogie boarding, Dining, (walk to all!) 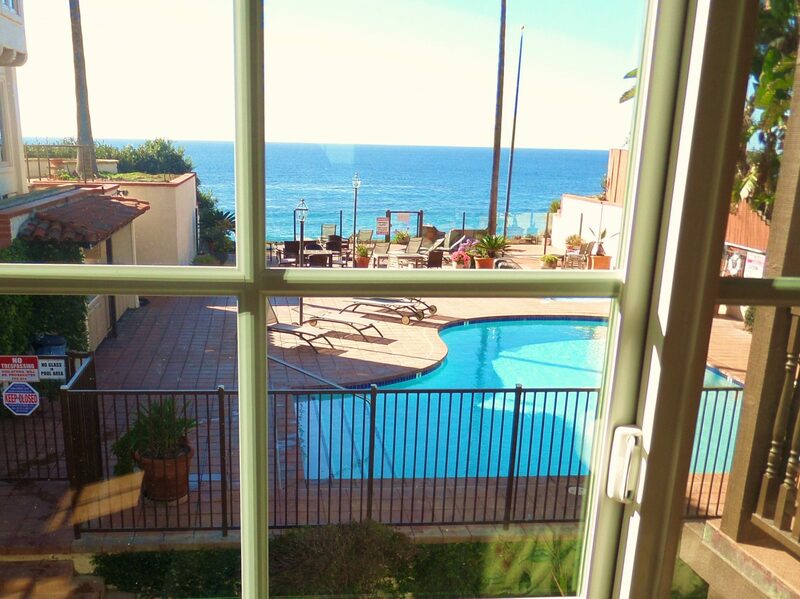 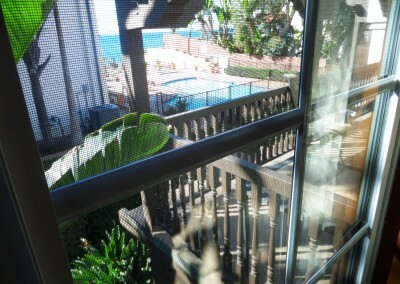 or enjoy your outdoor ocean front patio, Downtown Encinitas only a few blocks walking distance! 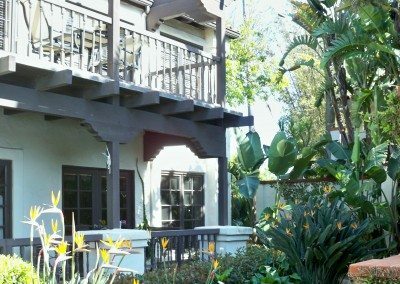 Sea World, San Diego Zoo or San Diego Wild Animal Park, Downtown San Diego with Gaslamp District, Seaport Village, SAN Airport, about 30 minutes, 45 minutes to Orange County. 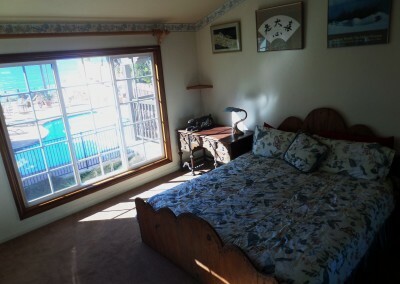 Surf, Beach Steps only 2 blocks, Deep Sea Fishing and miles of beaches in either direction. 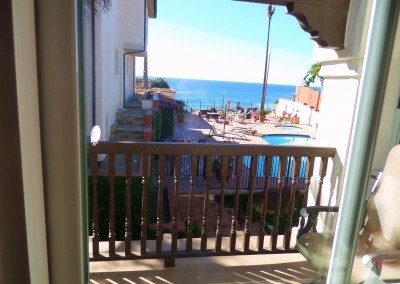 Easy scenic drive to La Jolla or Del Mar, much more! 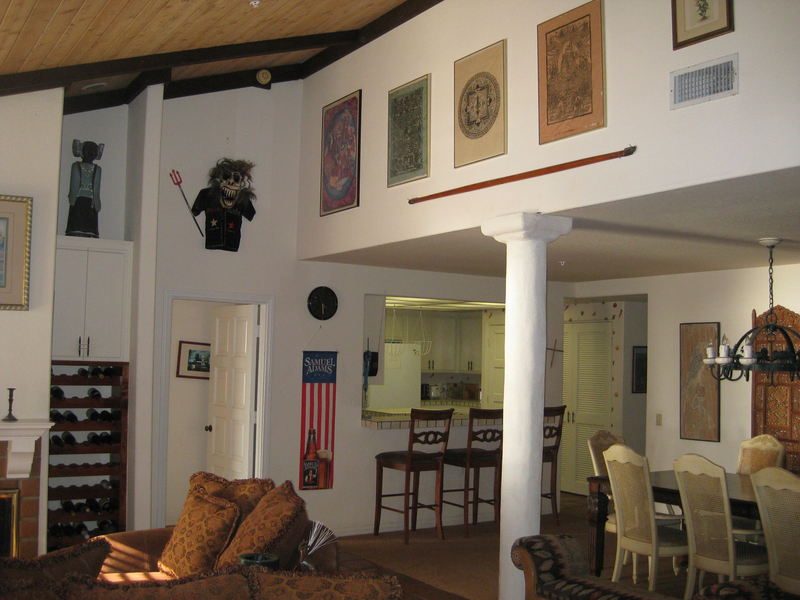 We spent the week before Christmas in this beautiful vacation rental, and had a wonderful time. 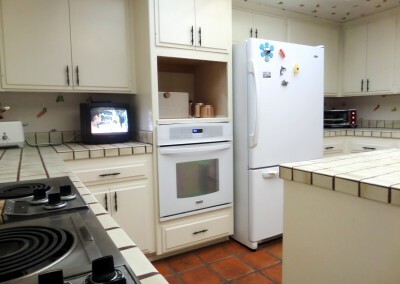 The kitchen had everything we needed to prepare family meals (including more staples and condiments than you can imagine), with a huge adjacent dining room. 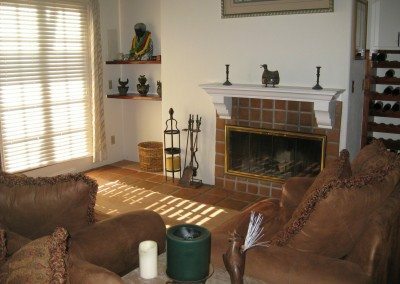 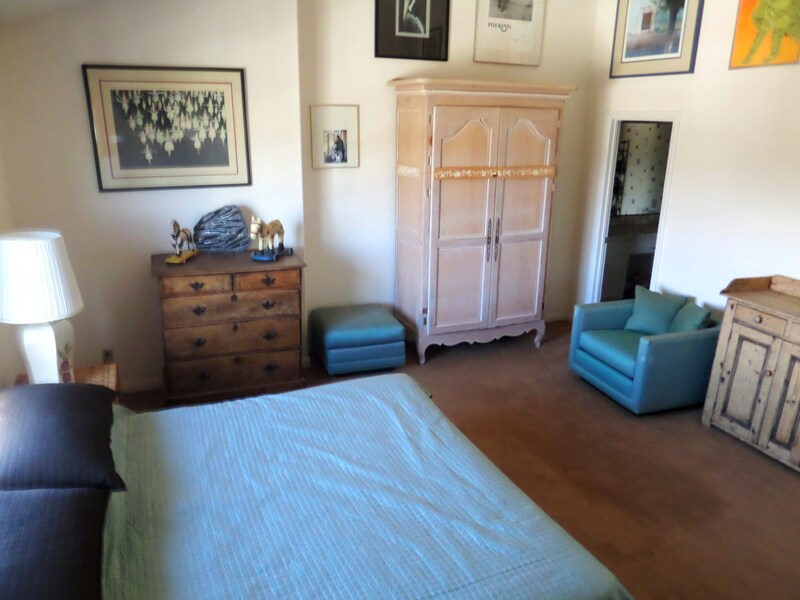 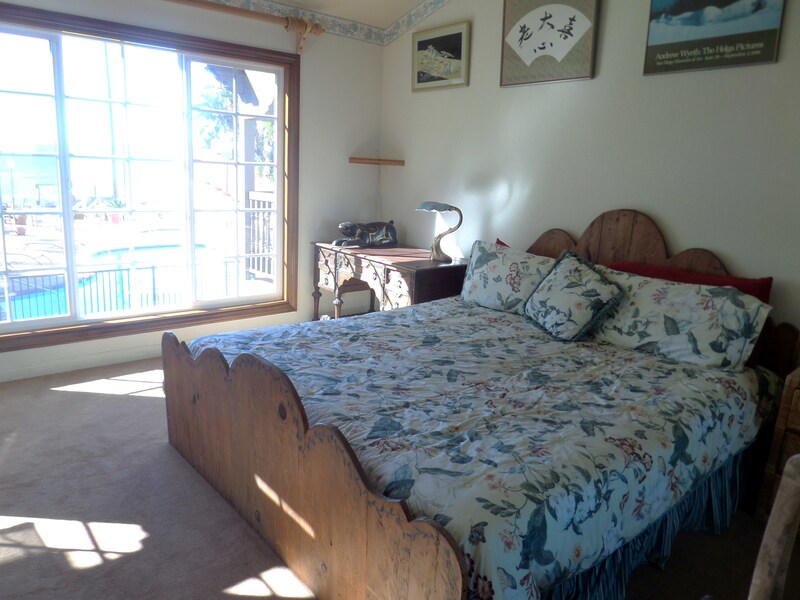 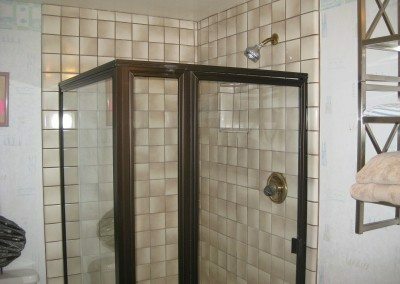 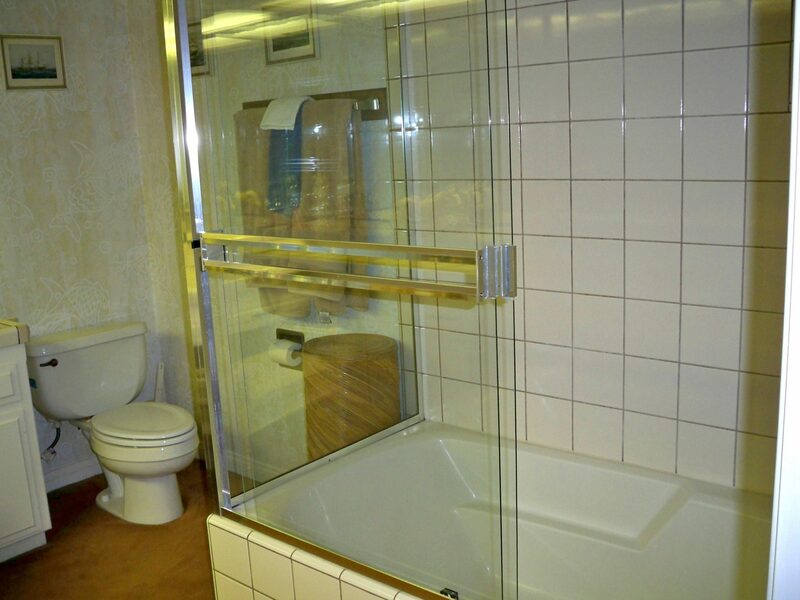 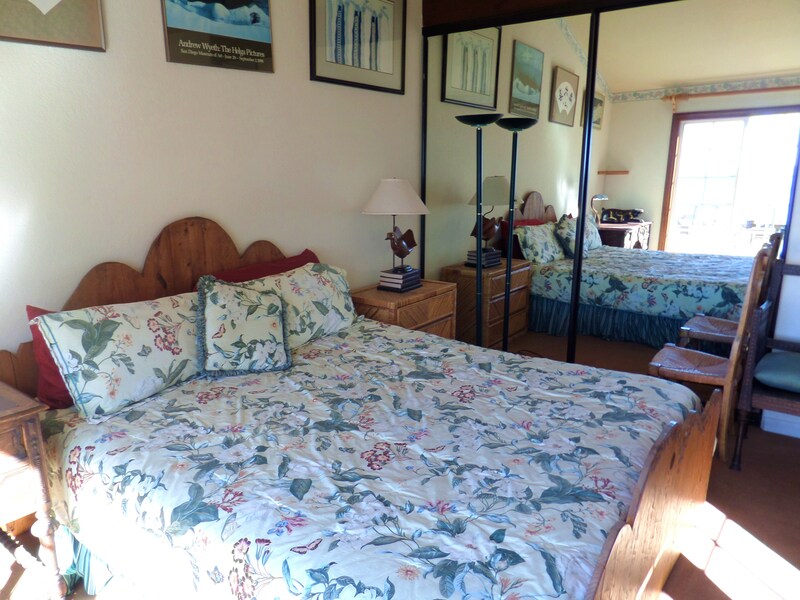 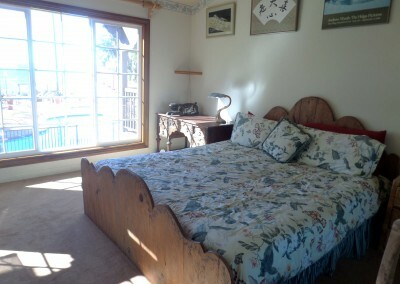 There is lots of room for four adults and two children, with three large bedrooms and bathrooms. 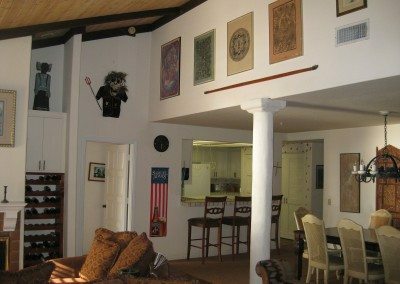 The living room is divided into two seating areas, and the balcony facing the ocean runs the full length of the living room. 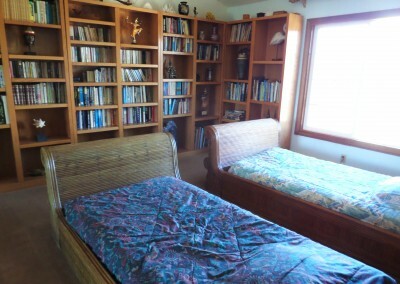 The decorating is fun and funky, and there is a wall of books in one of the bedrooms. 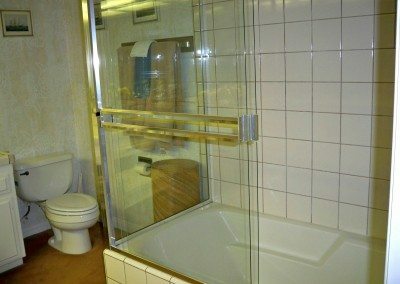 We could not have asked for a more warm and inviting place. We enjoyed the hot tub every day. 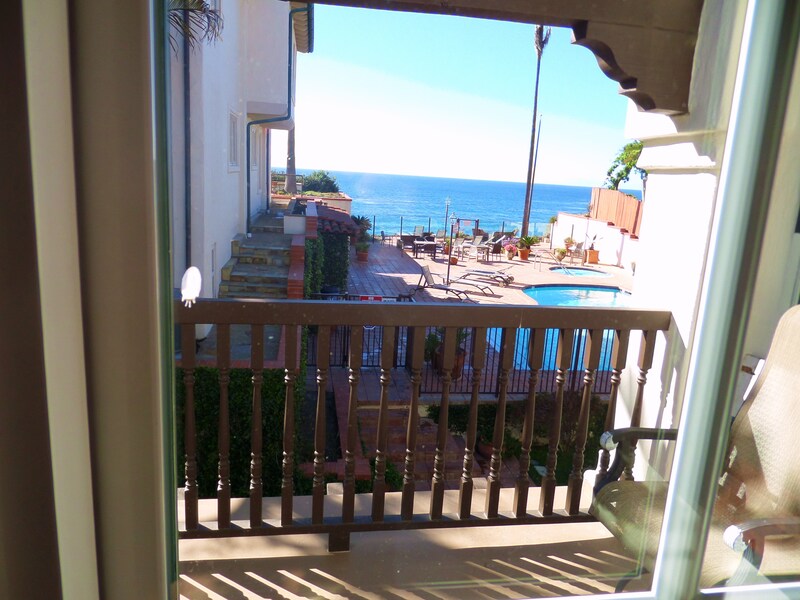 Moonlight beach is a 5 minute walk, and it is an easy stroll along Encinitas’ interesting shops and restaurants. 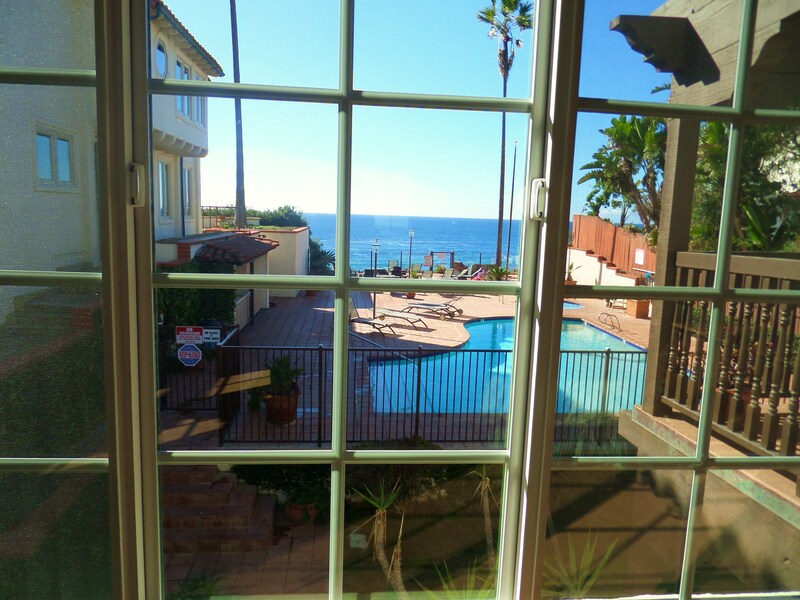 We drove the short distance to Carlsbad (to Legoland and Sea Life) along the old coast highway, and went south to San Diego using the Interstate. 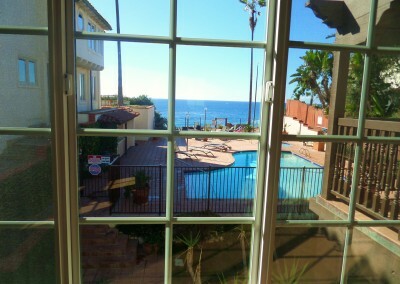 It’s a half hour run to Sea World. I’d rate this unit a 5 out of 5, and I would recommend it to anyone as a great place to stay, short or long term. 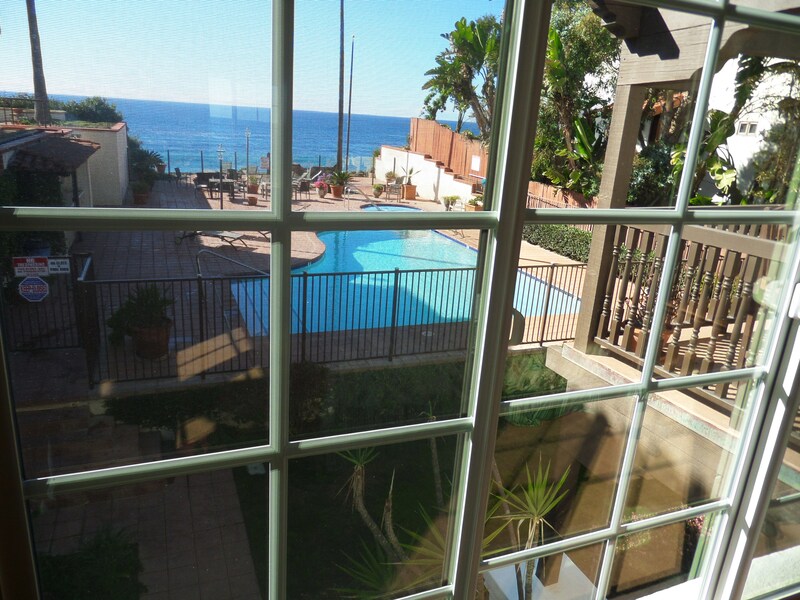 Rated 5/5 on vacation rentals 411. 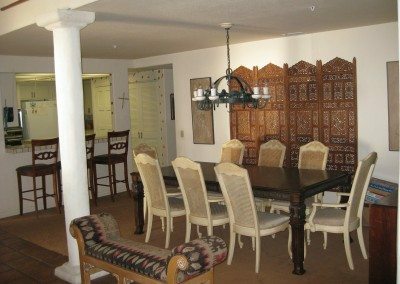 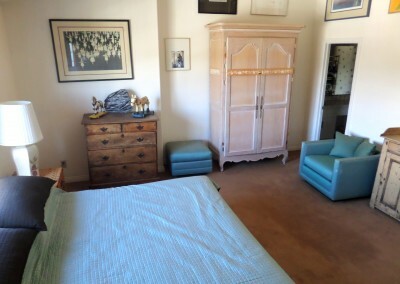 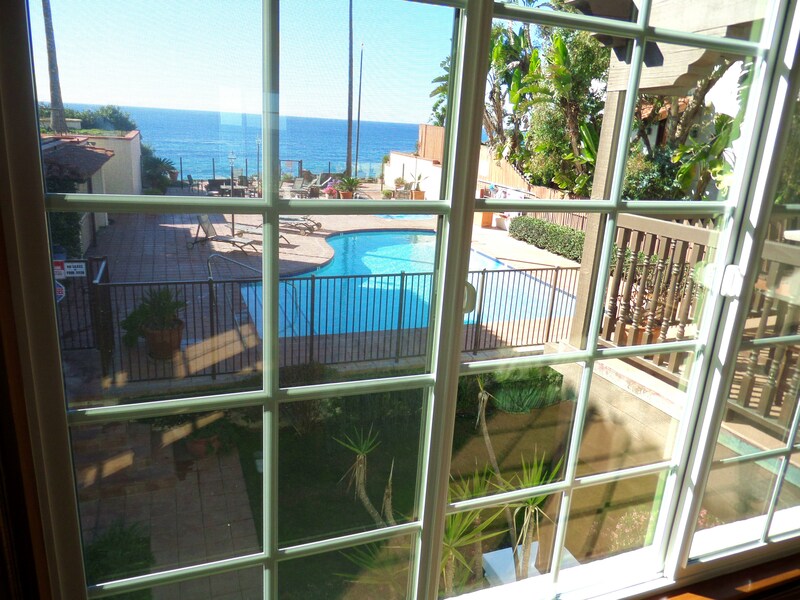 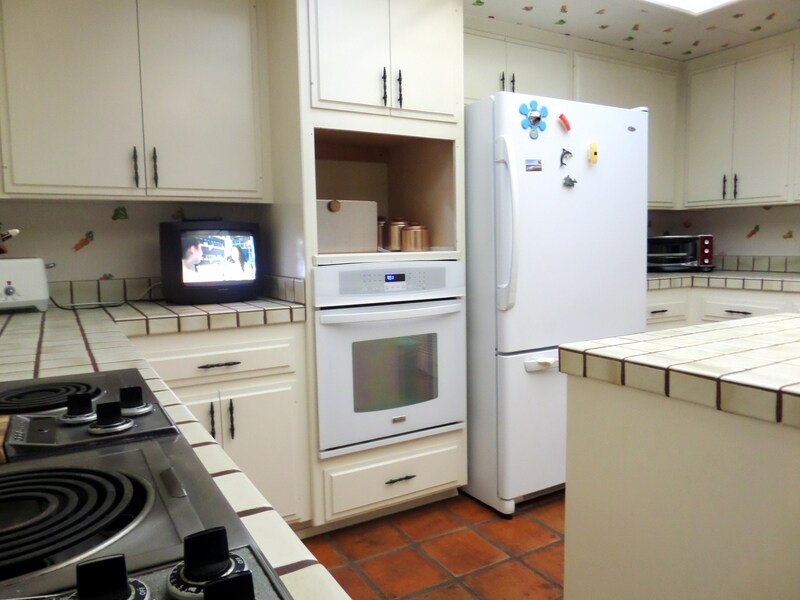 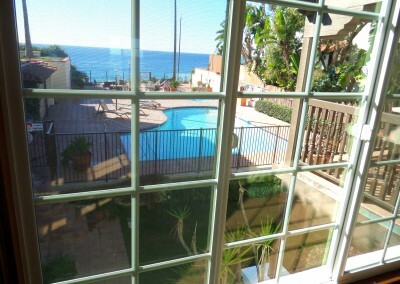 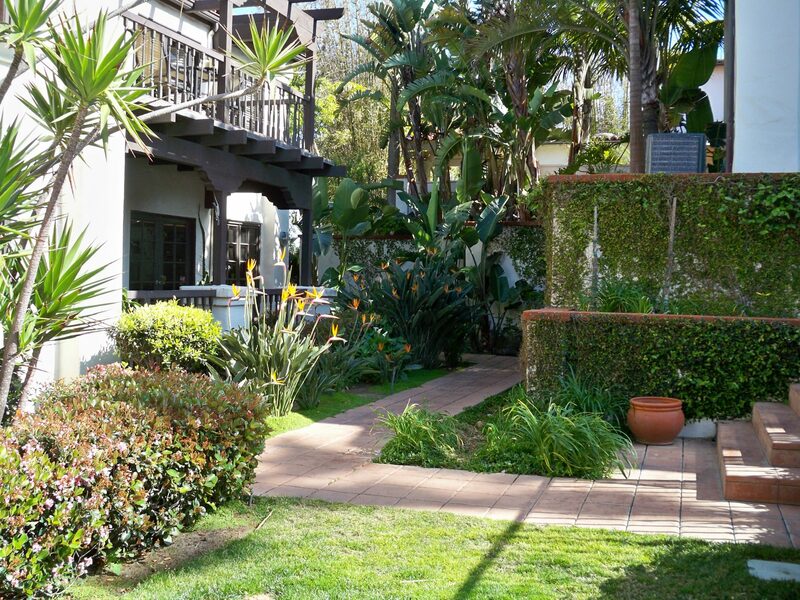 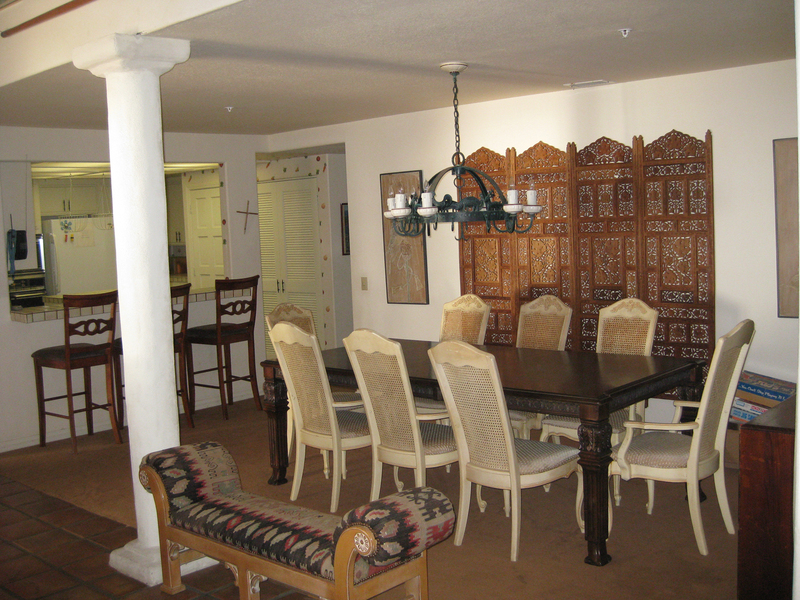 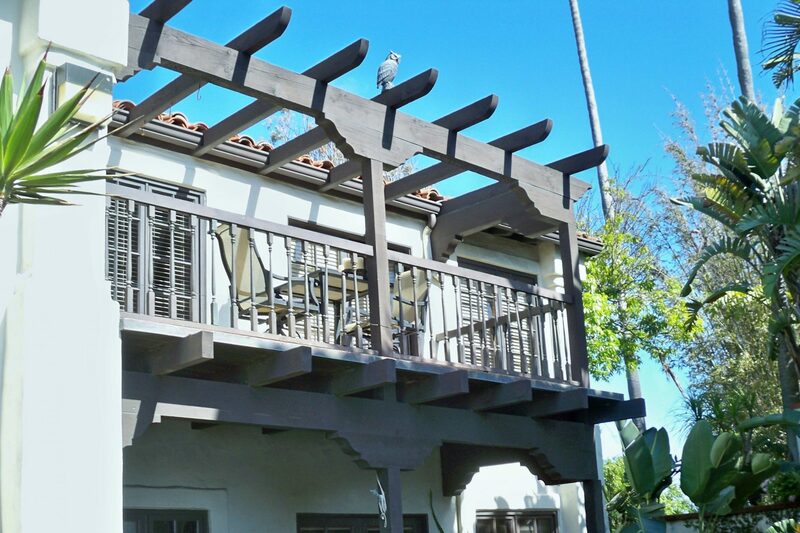 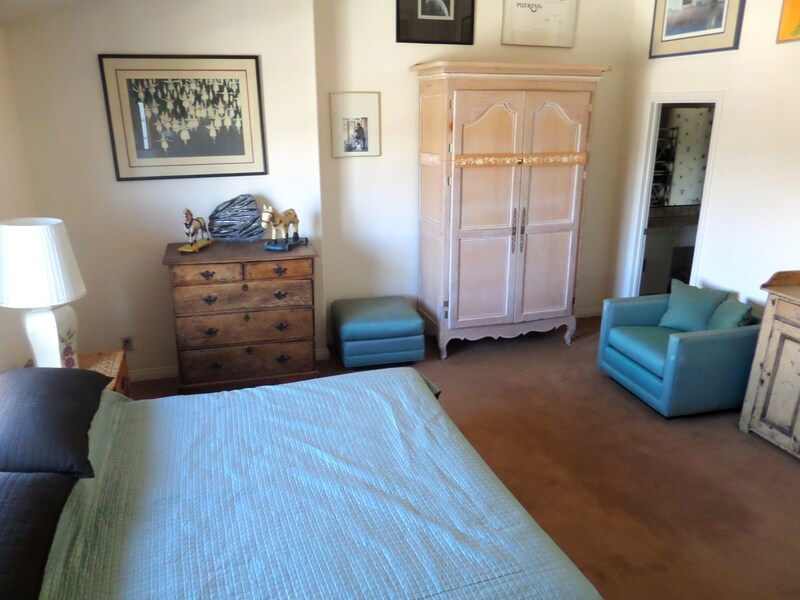 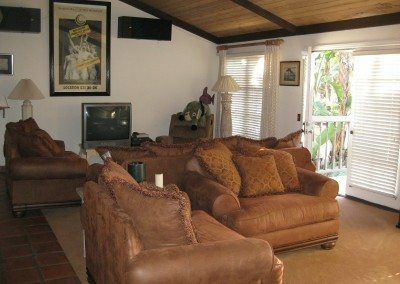 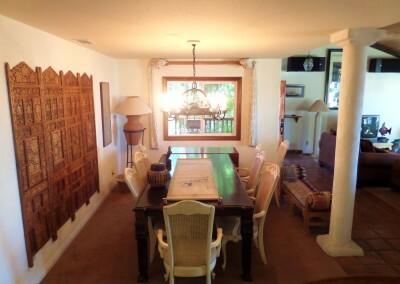 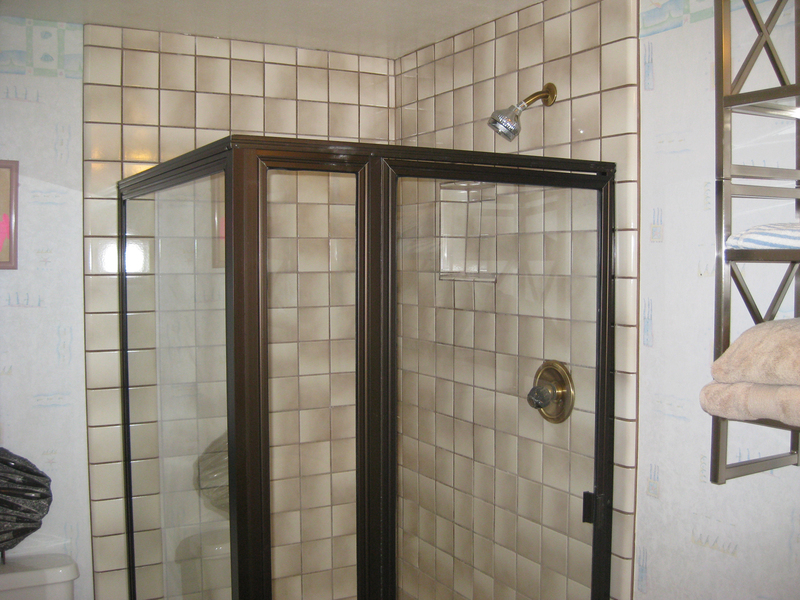 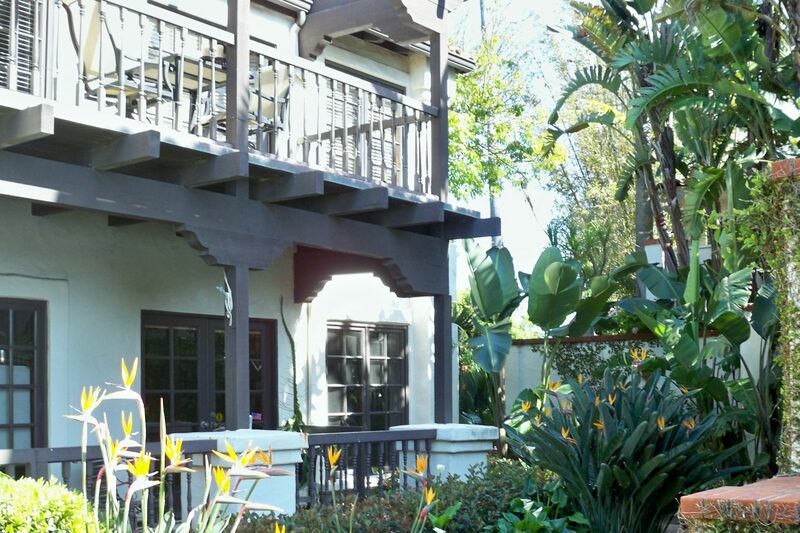 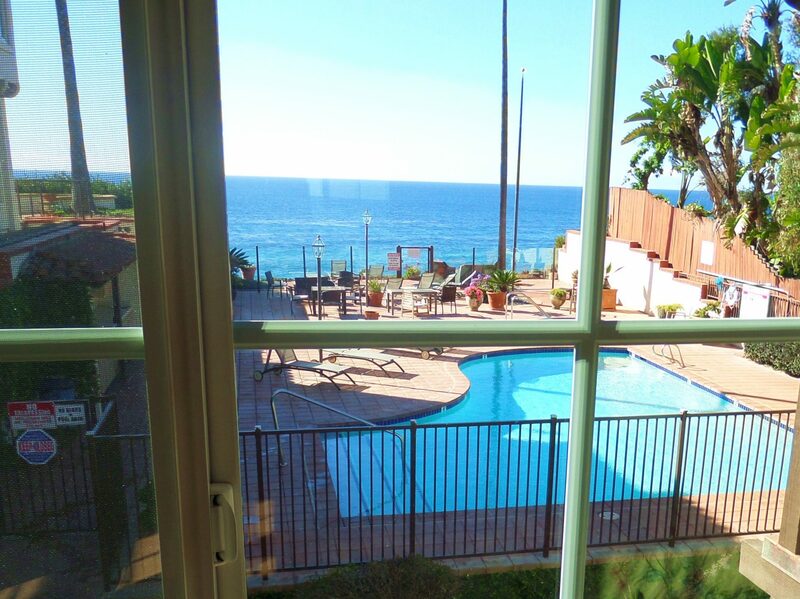 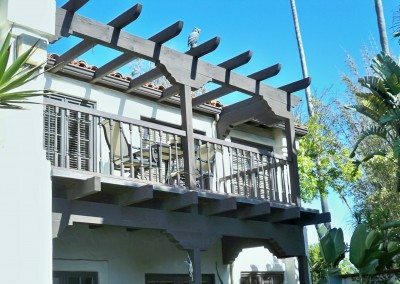 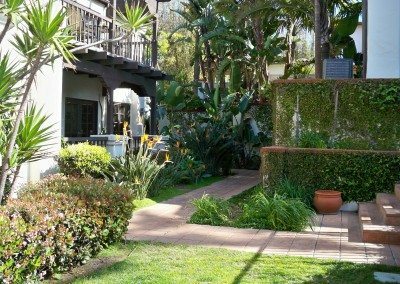 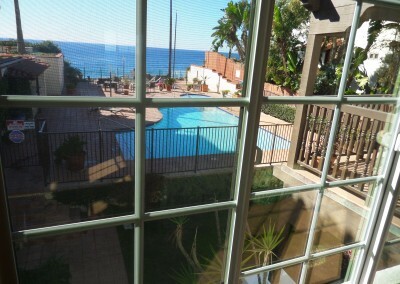 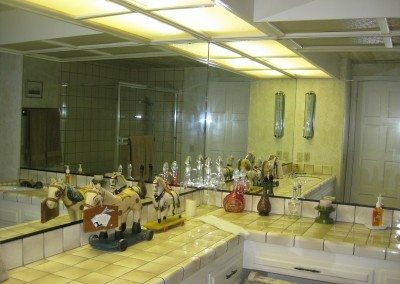 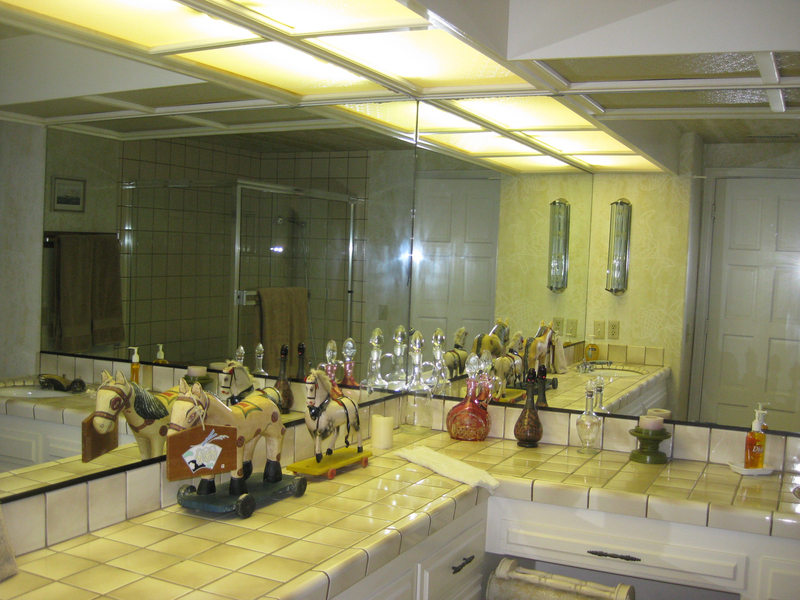 This gorgeous large condo is in the heart of Encinitas, a small complex of 6 condos, only a block from Moonlight Beach. Walk to the beach access at either D Street or Moonlight Beach, or to all of the restaurants and shops that Encinitas has to offer. 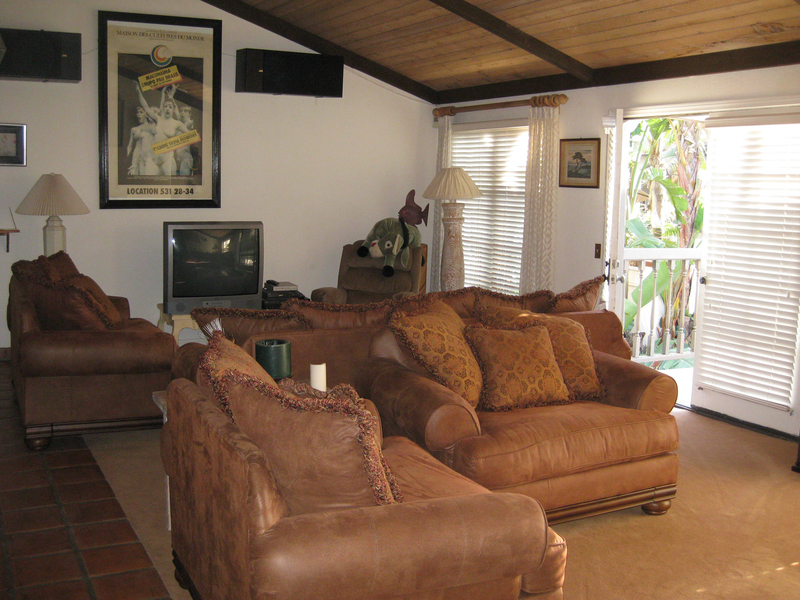 Encinitas is situated between Solana Beach (Del Mar area) and Carlsbad. 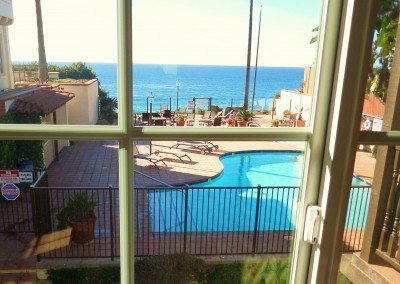 It consist of three oceanfront unique towns, Cardiff by the Sea and Leucadia. 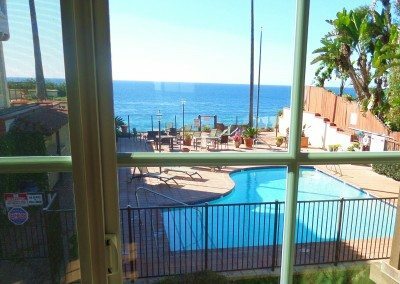 You can easily drive to downtown San Diego or head north into the Orange County and Los Angeles areas for sightseeing and Disneyland.